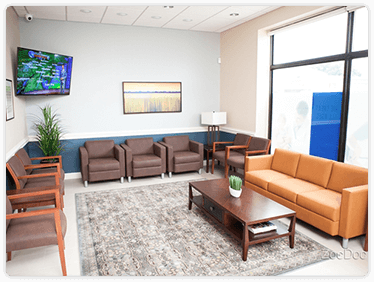 For urgent care in Fairless Hills, Pennsylvania, come to Patient Care Now. We are conveniently located on S. Oxford Valley Road in the Queen Anne Shopping Center in front of the ShopRite. We are open 7 days a week, 365 days a year – simply walk in when you need immediate care for an acute illness or injury. Continue onto S Oxford Valley Rd - Patient Care Now Urgent Care will be on the right. Turn right onto N Oxford Valley Rd. Turn left to stay on N Oxford Valley Rd. Make a U-Turn at Haskall Rd - Patient Care Now Urgent Care will be on the right.